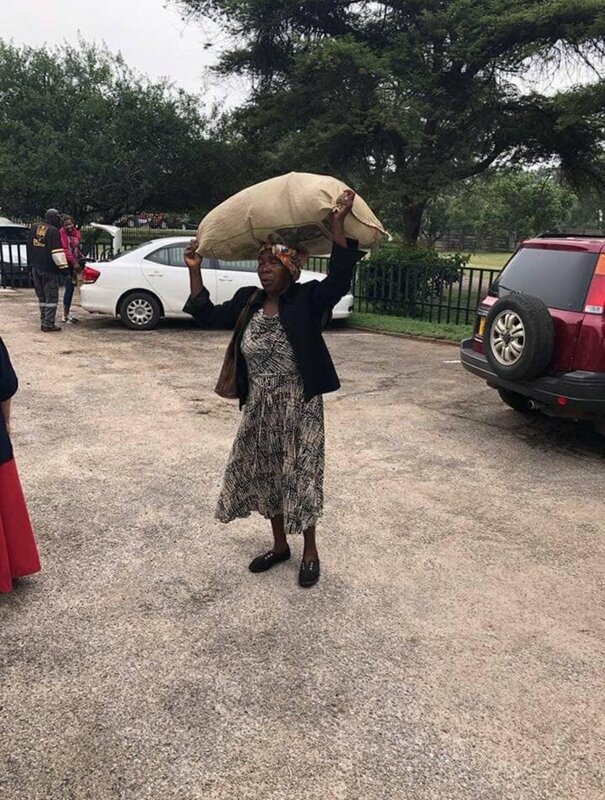 An elderly Highfields woman who caused a stir on social media through her selflessness in the wake of Tropical Cyclone Idai has received her ‘reward’ after Econet founder Strive Masiyiwa pledged to give her a monthly allowance of $1 000 for the rest of her life and build a house for her anywhere she wants in Zimbabwe. The woman walked from Highfields to Highlands Presbyterian church carrying her donations for the survivors of Cyclone Idai. She walked across town because she had no money for transport. This is the biblical “widow’s mite”! She gave more than us all! What she did is one of the most remarkable acts of compassion I have ever seen! I will spend time in prayer with her! Then I will BUILD HER A HOUSE, ANYWHERE SHE WANTS IN ZIMBABWE! It will have solar power and running water! I WILL GIVE HER A MONTHLY ALLOWANCE OF $1000 for life! I admire people who are moved to ACT in a crisis! God bless you if you are moved to ACT as she did. It is not about how much you have. How many young men and even women in their cars watched her carry that sack, and never asked to help? Is it USD or RTGS?????????? Either way though the gesture is applauded, well done Strive. Now can you also shake up people at Econet Zimbabwe please help we are really getting a raw deal.